iPhones have undoubtedly become a household name. Because of the quality of service and practical features the unit has, it is the most sough-after phone to have to improve the personal and professional life. In fact, the device can make working much easier with its efficient controls. For sure, you will want to unlock your iPhone to enjoy a more organized and productive lifestyle. An iPhone comes equipped with a built-in app entitled “Notes”. This may seem like the straight forward notes-keeping app, which is why many people tend to overlook it when they think of productivity. However, the iOs 9 has the upgraded version that everyone needs to know about. Basically, it’s a one-stop app that allows users to save all sorts of information; photos, sketches, checklists, website links, attachments, etc. No longer will people need to rely on using many separate apps to save information in different forms of media. All they need is the on-board notes app of Apple. A big plus of this app is that it is synced across all your Apple products. You can start a note on a Macbook and continue it on the phone. This is useful when you think of a new idea for a project you’re doing while you’re on a commute. It can also work vice versa. It’s also great for collaboration. Any note saved on this app can easily be shared with the new and improved sharing functions. With such a useful pre-installed feature, you will definitely want to Google, “How to unlock my phone”. In today’s world of iPhones, it’s no doubt that Siri has become a voice that’s so iconic that everyone knows who she is: the beloved sassy virtual assistant of Apple. When you are here, simply activate the function. Once done, all you’ll need to do is say, “Hey Siri”, to your iPhone and follow it with a command. With Siri’s sophisticated artificial intelligence, it can do almost any command you ask it to. This feature makes the iPhone a digital helping hand to do daily tasks. It’s amazing with technology can do just with your voice. The newer iPhone models – iPhone 6s and above – have come equipped with a keyboard that can act like a laptop trackpad! All you need to do to use the 3D touch function. Drag your finger around to quickly move the cursor. Press deeper and drag around to select a certain length of text; think of it like a shift function. With such a function as well as a great notes app, it saves you a lot of trouble when editing minor details in the information you want to save and in the messages you want to send. As a professional in any industry, it’s unavoidable to receive tons of work emails. Often times, just looking at titles isn’t enough for the brain to filter out the casual emails from the important ones efficiently. In this case, why not sort out your emails for an organized way to check them? Your iPhone’s email app can help you achieve that goal through their VIP settings. This can sort your most important emails accordingly and allow you to read through them in times of urgency. It just needs to be setup properly. Also, you can filter through your emails by marking them accordingly. That way, you’ll be able to retain the emails you’ll need in the future when the time to clean up your inbox comes. 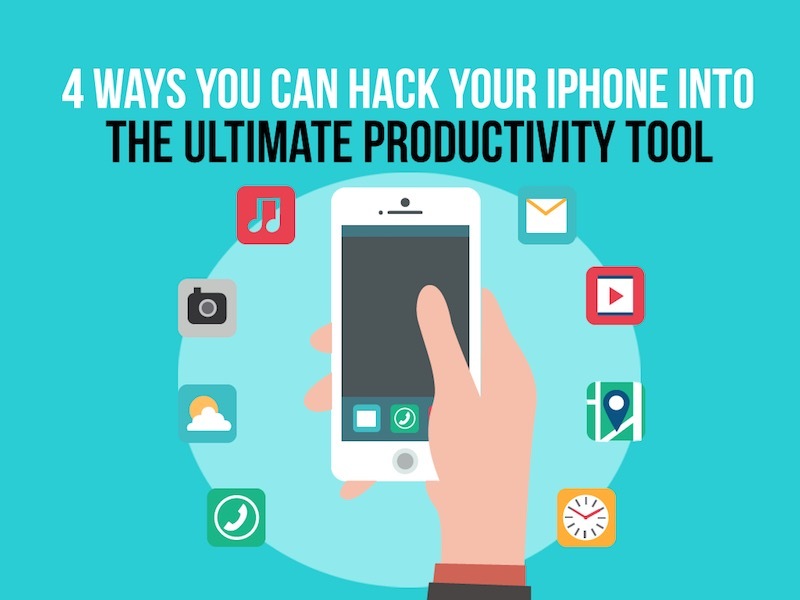 These 4 hacks are sure to make your iPhone into the ultimate productivity tool for your professional needs. If you’re looking for convenience and ingenuity in times of stress, then go ahead and try them for yourself.